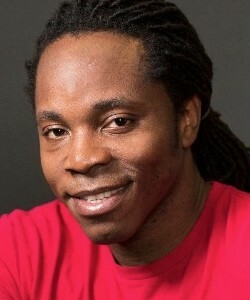 David Moinina Sengeh is a Sierra Leonean Ph.D. candidate at the MIT Media Lab. His research in the Biomechatronics Group focuses on the design of comfortable prosthetic sockets and wearable interfaces. David is on Forbes 30 Under 30 in Technology for 2013, a 2014 TED Fellow, on the Wired Smart List 2013, winner of the Lemelson-MIT National Collegiate Student Prize, and other awards. He is the President and co-founder of the international NGO Global Minimum Inc. (GMin).